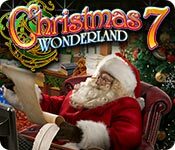 Christmas Wonderland 7 is rated 4.4 out of 5 by 37. Rated 5 out of 5 by yowzasma from LOVED IT ! ♥ Review is going to be short and sweet after completing it. I very much enjoyed this =, and I choose this one by accident planning to get #8 but not sorry for the mistake. Shure did have to use "hint" seneral times because of the really tough to find little - teenie-tiney objects but it really did not bother me after the 3rd hint ; ) Next year I will complete my Wonderland collections because of the excellent visuals and eye-candy.& there are approximately 25 or 26 scenes to play. 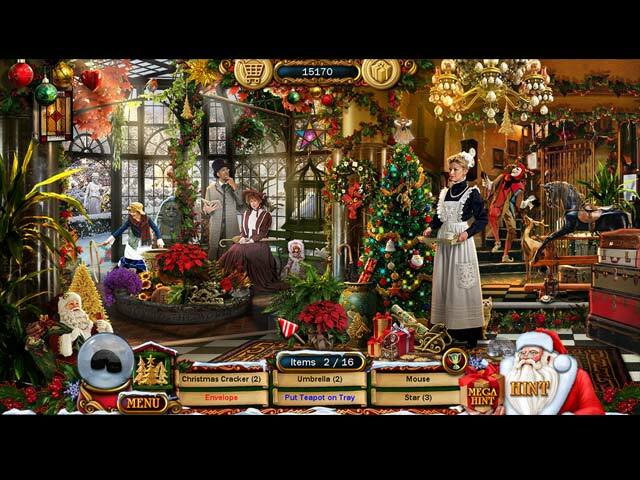 I also put a list of all my Christmas games in my "Big Fish Notes" folder so I can get an earlier start on them : ) I f you are looking for a hidden object game with oodles od hog scenes, I suggest you try this one (for starters ; ) I am giving this one 4****& 1/2* out of a possible 5*****.. Rated 5 out of 5 by pinkyseferelis from Super addictive. Super fun. I enjoyed this "hidden object" game so much that I also gifted a copy to my mother (we're 40 and 60 years old, for perspective). She beat hers in a day and a half! I've been rationing out my play and made it through in 2 weeks. It's only a quick play because it's HARD TO STOP playing. Great visuals, fun that they mix up the game play (several different games-within-the-game, not just hidden object). Music not annoying like some. Very fun. Rated 5 out of 5 by denniann2 from i love the series of games another game in the series. good mini games. just like the other ones the items are really small sometimes and you may have to use the magnifier on your screen. still a great game. there will an 8 or so they say. Rated 5 out of 5 by Pamela1950 from It's Christmas all year round! I bought this game last year and even though the festive season is over I am still enjoying playing it. Some of the objects are very hard to find, so don't think this is a game for kids! Sometimes I just have to give in and use hint. I love the music and the progression from scene to scene, always ending up on Christmas Day when Santa has filled all the stockings. My only complaint is that some of the mini games can't be completed in the short time given. I could play this game any day of the year. Rated 5 out of 5 by SimplySharon from Loved This Game! This was my first time playing any of the Christmas Wonderland games, I had a ball. I loved that there were other puzzles to solve beyond the hidden objects. It was challenging enough to keep me busy and I liked the scenes (graphics/images) and the music was nice too. Very family friendly theme. Will be playing it all again soon. Rated 5 out of 5 by bsnbsn from Filled with color and a joy. You have to look for special objects before you complete the hidden object search for the maximum points. This is so colorful and not that easy to spot the items. Beautifully done. Rated 5 out of 5 by AutumnDaye from Happy, fun holiday game This is a fun Christmas game that we look forward to every year, and this year didn't disappoint. The scenes are filled with lots and lots of Christmasy images, the puzzles and HOPs are fun. It's an upbeat game filled with the holiday spirit! Rated 5 out of 5 by puzzlegrandma from One of my favorites Every year I am looking forward to the Christmas Wonderland. Even so I usually enjoy more challenging games this game always brings me a little in Christmas mood. So keep them coming every year! Merry Christmas to you all!